The Garmin Forerunner 35 is a sports-themed wearable designed for runners and multi-sport athletes. It can display smart notifications from a connected phone, but that�s not the main feature. 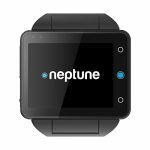 It�s designed to track fitness and activity 24/7, and even includes a heart-rate monitor which can continuously check your BPM. 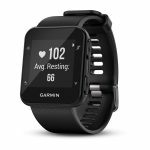 Any tracked data can then be uploaded to Garmin Connect � their cloud data service for Forerunner owners.